Destination Wedding Archives - B-Boy Productions, Inc.
March 31, 2017	by B-Boy Productions, Inc. Wedding season is upon us again, and 2017 started off with a BANG for me (DJ Dan Davis) at WaterVue At Brooks St. for Keith & Jennifer Bivins’ wedding. 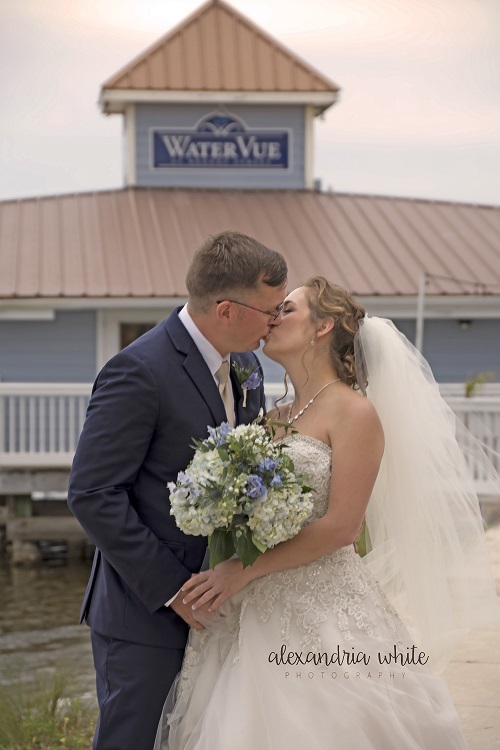 Watervue is such a great Fort Walton Beach Wedding Venue. The weather was absolutely perfect. We had met the bride and groom at a wedding showcase of ours over a year ago at this very location. 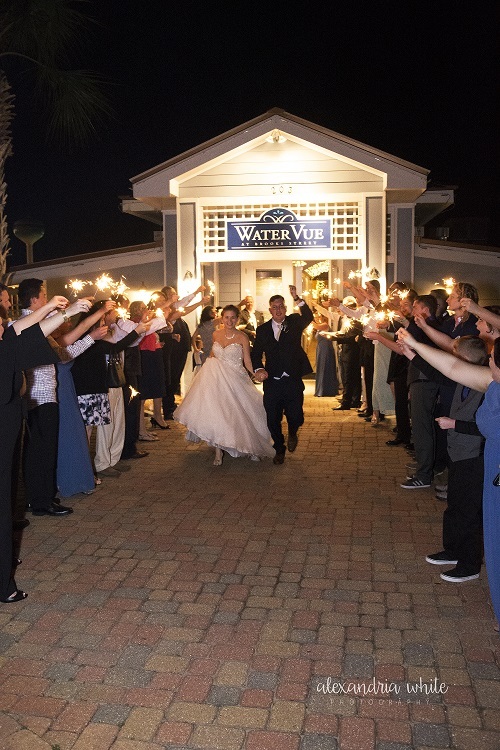 This venue is one of our favorites in the Fort Walton Beach area and I got a chance to work with an amazing group of vendors (some for the very first time). December 28, 2016	by B-Boy Productions, Inc.
What’s not to love about an Eden Gardens Wedding? While the weather forecast changed by the day for Keith and Kimberly (initial reports earlier in the week showed a complete downpour), by the time the wedding day hit, it was perfect. Towards the evening, the temperature dipped slightly but not enough to cause any issues. Wedding attendance for a destination wedding in the panhandle typically averages about 100-125 people. For this one, we had upwards of 180. The wedding venue, however, has plenty of acreage to fit just about any guest count. 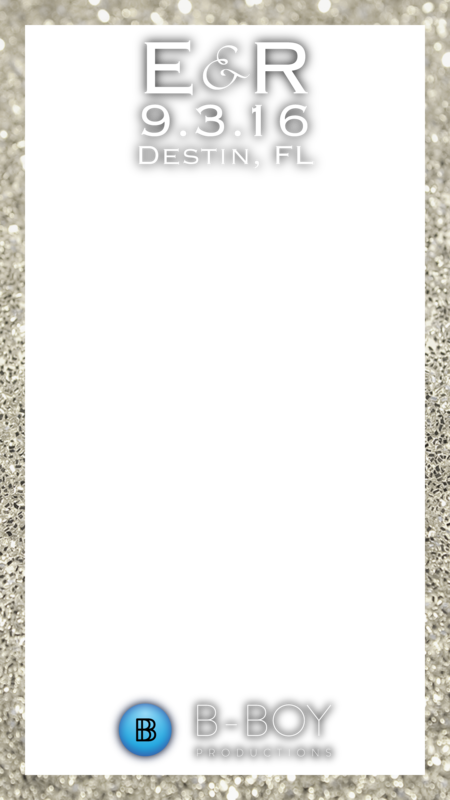 Kimberly contacted us with less than 2 months before her wedding day. With us (B-Boy Productions) and two of our three sister companies, B-Boy Rentals and Event Design (coordination) and B-Boy Photo Booths, we jumped right into it and helped make this wedding come to life. Kimberly is very much like myself (Brian) in being OCD and into the details. We immediately clicked and worked extremely close between our two insane travel schedules (Kimberly lives in Alaska and commutes weekly all over the country and myself, well, if you know me, then you know that airports are my second home as I perform events across the country). For this event, I put on my coordinator hat (which I love to do) and we made some magic happen. The guests had so much love for this couple and smiles like the one pictured above were flashed often at this wedding. What an amazing celebration! Thanks for having us Kimberly and Keith! 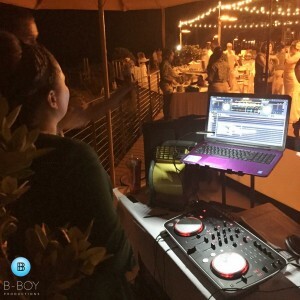 September 28, 2016	by B-Boy Productions, Inc.
One of Alys Beach’s more popular spots, Kelly Green is a perfect venue for guest counts of over 100 people. It complements the town of Alys Beach so well. Its well-manicured lawns and semi-hidden location make for a luxurious and private wedding space. This wedding was that and more. 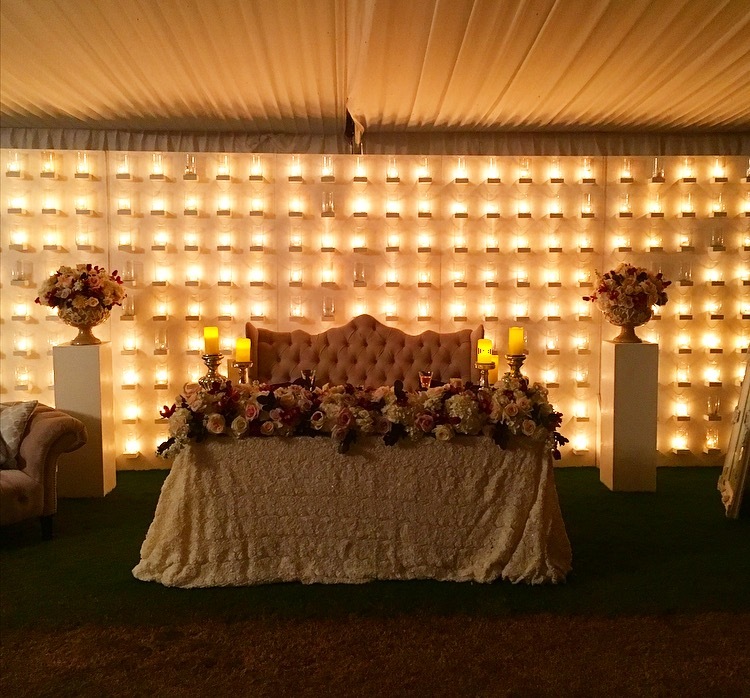 Sweetheart table with a wall of candles as a backdrop. Entertainment: DJ Brian B, B-Boy Productions, Inc. The groom, Anthony (wearing a blue tux and diamond studded shoes), and the bride, Alexa, were stylish themselves and into the details of every aspect of the wedding. 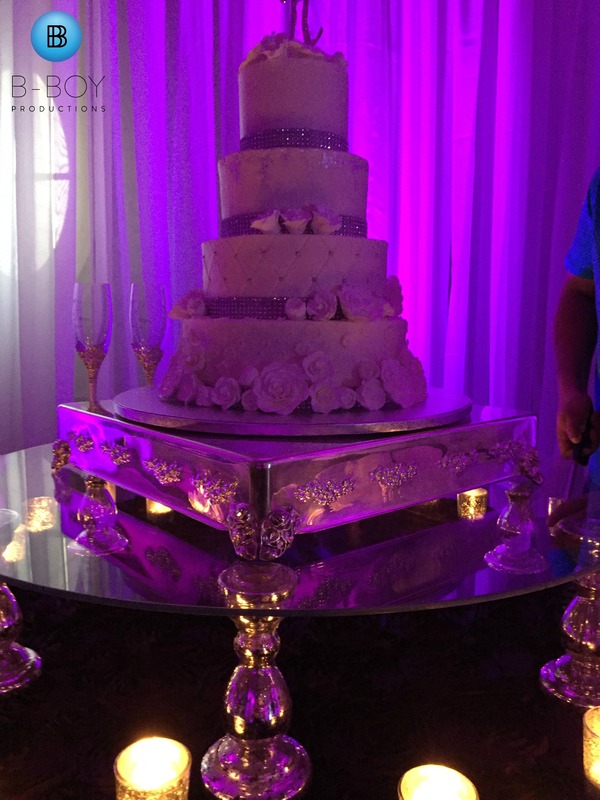 From monogrammed everything to the food to the music list to a theatrical and choreographed grand entrance/first dance, their imprint on the event to was very evident for all to see and made it truly “them”. Music-wise, this crowd was into just about everything. The party, really took off, however, when we delved deep into the hip hop genre. The most memorable part of the reception took place at the Grand Exit. 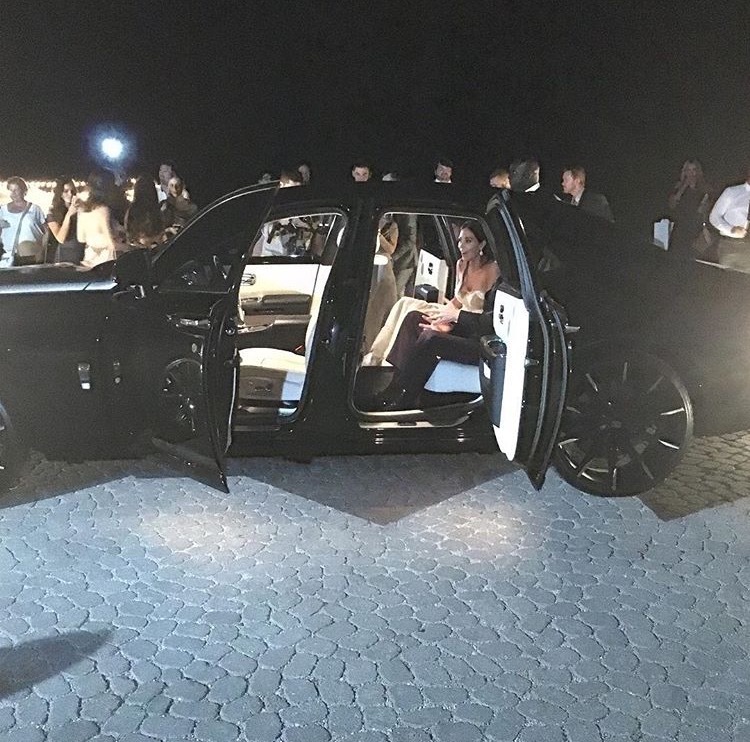 The groom surprised his beautiful bride with her wedding gift – a murdered out Phantom Rolls Royce. I don’t think the bar can be set much higher gentlemen. Her reaction was priceless. She was so shocked, happy and blown away all at once! It was the perfect ending to an amazing night. September 21, 2016	by B-Boy Productions, Inc. This weekend I had the pleasure of being a part of Anthony and Stephanie’s Bud & Alley’s wedding in Seaside, FL. It’s a surprisingly intimate venue, considering it is in the middle of shops on the south side of 30A, which fit the number of guests they had (40). Entertainment: DJ Josh Weck, B-Boy Productions, Inc. The staff was excellent and very easy to work with. Both Rachel and Kathryn (event coordinators at the restaurant) made sure everything was on point, which can relieve so much stress for not just the wedding couple but the vendors as well. Of course with us being in Florida, there was a threat of rain (what else is new?). 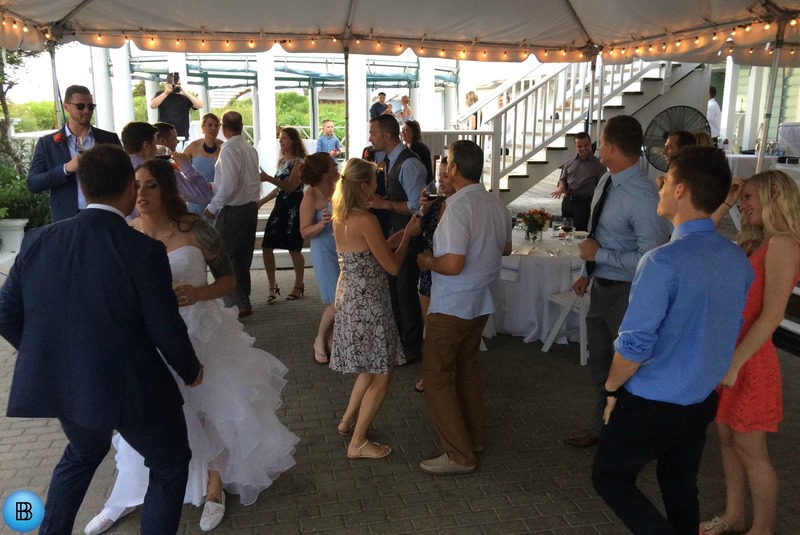 However, the permanent tent structure covering the entire outside of the venue ensured that the wedding festivities would go off without a hitch. In my opinion, this is a huge selling point for the venue! One of the memorable moments was when Stephanie’s brother, Dave, walked in during dinner with a glistening bottle of Moët. I knew then that the night was just getting started. Music ranged from Sinatra to Yelawolf to Edward Sharpe & The Magnetic Zeroes. Upon the final note of “Home” and my farewell, the guests, along with the Bride and Groom in tow, ventured upstairs to the bar at Bud & Alley’s to continue their festivities. Yet, another selling point of this venue ~ easy walk (just upstairs) for the after-party. Just about any other outside venue requires you shut down at 10PM due to the noise ordinance. Thanks for allowing me to be a part of your day Anthony and Stephanie. September 13, 2016	by B-Boy Productions, Inc. 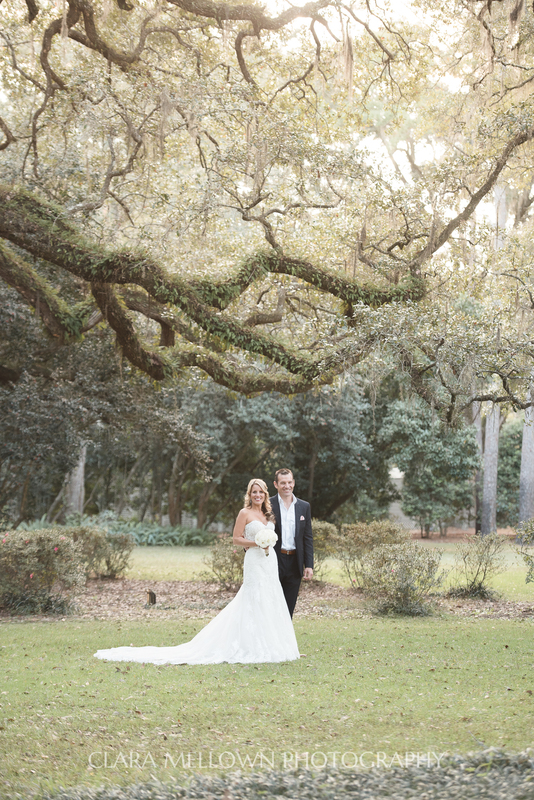 If you are looking for an elegant spot on 30A to have your reception, consider this little gem, Fonville Press! 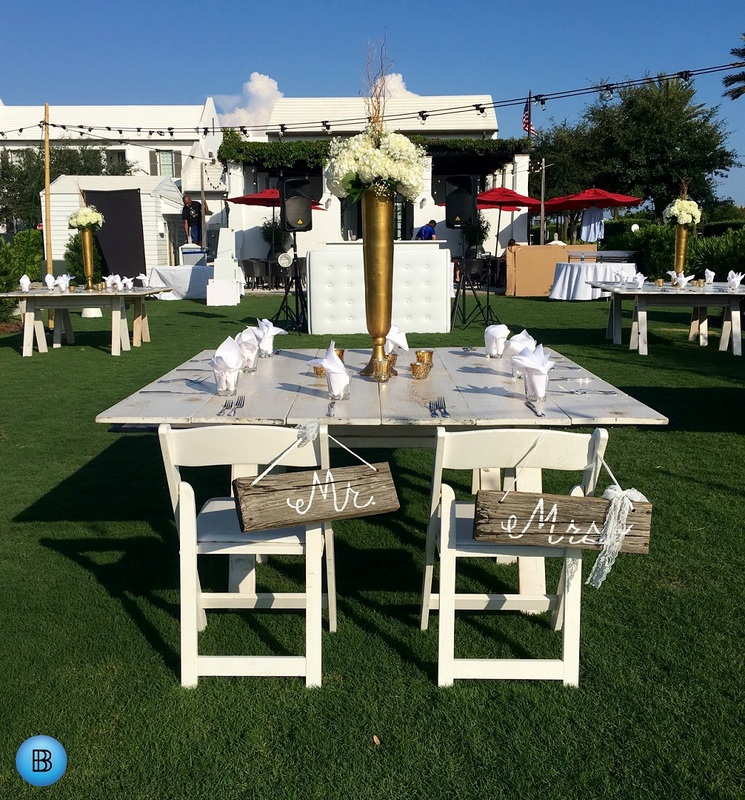 Located in Alys Beach, this venue has a lot to offer including super easy access and a unique layout that makes tailoring to taste, a fun task. This particular venue is ideal for an Alys Beach wedding with under 100 guests. We got a chance to debut our new plush, vinyl all-white DJ Facade. This couldn’t have been more perfect to complement the all-white décor that is infamous in Alys Beach. The heat was out in spades and its ugly second cousin, humidity was presenting itself to be a formidable foe for the hairdos of the day. The sky was the clearest of blue and cloudless, making for a rain-less wedding, which was imperative considering the ceremony /reception area was outdoors with no tent. After a perfect ceremony, we seamlessly moved into an upbeat cocktail that set the tone for the rest of the evening. Great music paired with our romantic café style lights courtesy of B-Boy Rentals and Event Design was the perfect kick off to an intimate reception. November 20, 2015	by B-Boy Productions, Inc.
Today we are highlighting Destination Wedding DJ Heidi Jade who recently was our headlining entertainer at the destination wedding of Grace and Danyel. The ceremony and reception took place at the Hilton Sandestin in Destin, FL. When asked what their ideal DJ looked like, their reply was “carefree and fun.” We then had them describe their ultimate wedding reception to which they said “party of a lifetime”. Assigning their wedding DJ was a no-brainer. We knew Heidi would fit the bill perfectly for this wedding. Her easy-going demeanor and impressive mixing skills would be sure to amaze not only the bride and groom but their 65 guests in attendance as well. 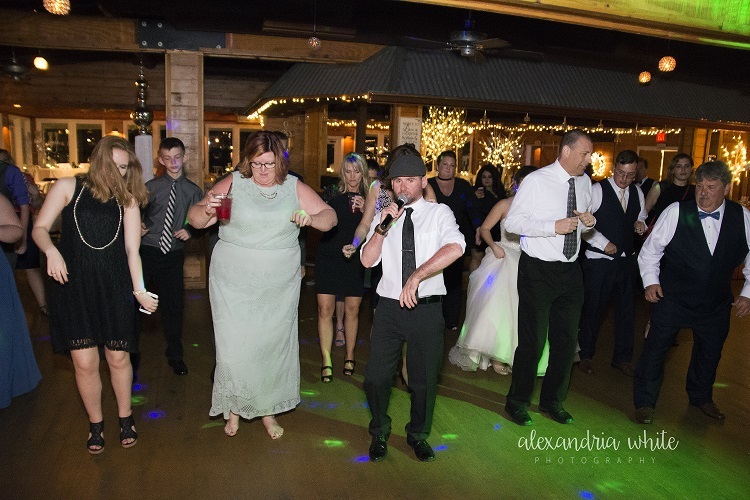 We utilized one of our DJ assistants so it would be easy for Heidi to coordinate and get out from behind the decks and into the middle of the deck for the Grand Entrance announcements. One of the best parts of a destination wedding is that you have your closest family and friends in attendance. This usually means they have no problem letting loose and having a good time. Grace rated her crowd as a 9 on a scale of 1-10 (10 being complete party animals). The love that these guests had for the bride and groom could be felt immediately and they lived up to the party rating. 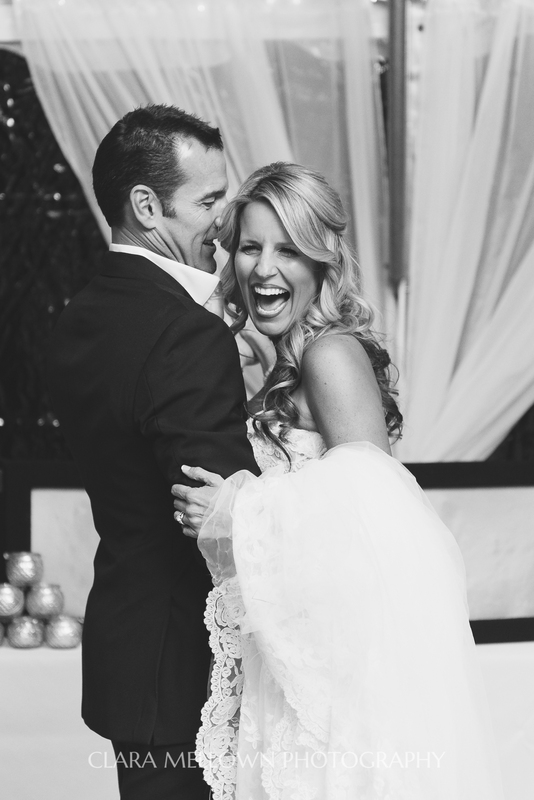 Check out this highlight reel of Heidi that we put together from the wedding below. August 4, 2015	by B-Boy Productions, Inc.
I’ve always loved the quote by Benjamin Franklin, “If you fail to plan, you plan to to fail.” There’s a ton of truth in that. If you’re looking at having your wedding in the panhandle of Florida, this should be your battle cry. Maybe you saw the beautiful beaches and are dreaming of having a picturesque ceremony take place on the white sand followed by an outdoor wedding reception on a lawn or deck. Sounds amazing right? I wish I could say that this perfect scenario plays out for all of our weddings but every now and then mother nature decides to throw some curve balls. Although rain on your wedding day is a sign of good luck, this can wreak havoc on all the hard work you’ve put into your wedding plans and add some unnecessary stress. 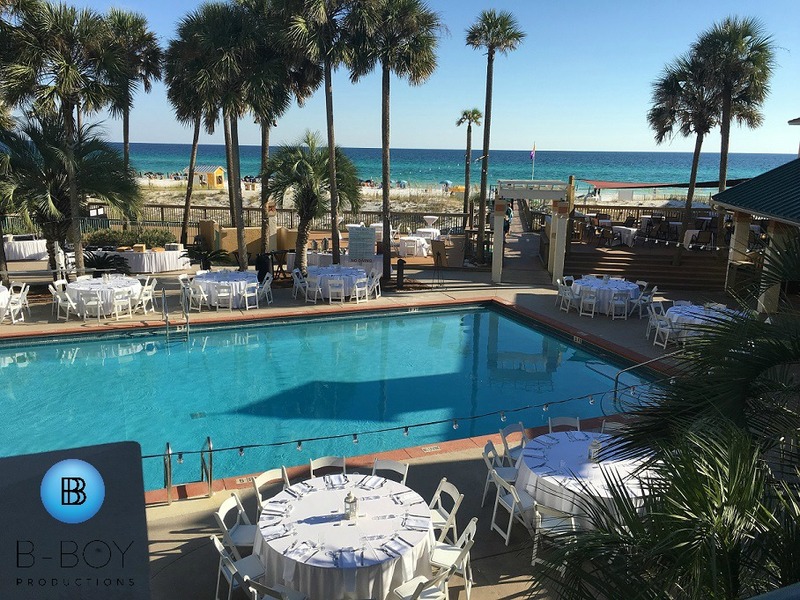 With over 9 years in the Destin, Santa Rosa Beach, 30-A, and Fort Walton Beach area, let us give your some helpful destination wedding tips. #1: Choose your wedding venue carefully. If my event is outside, do you have indoor space in case of rain? If so, is it available to us and what is the cost? If there are multiple weddings at your venue, how do you decide who gets what room? When do you make a rain call to move things inside? If there are no indoor options, will the venue allow us to rent a tent? #2: Speaking of tents, put down a deposit upon booking your venue! A lot of our destination clients can wait for the rain to pass to get in their 20 minute ceremony but if there are having their reception outdoors at say a beach house or a venue that has no indoor space, there is a chance the rain may come back again. You then find yourself in a pickle because so many of your reception elements have to be preset (tables, centerpieces, cutlery, cake, etc.). The best thing to do is reserve a tent as soon as you lock in your date and venue. While the deposit is generally non-refundable, you can’t afford NOT to do this. Like having an insurance policy, it’s not until you need it that you wish you had it. With so many weddings happening in the area, the last thing you want to do is wait until the “day of” and play Russian roulette with the tent companies. If you can find one that is available, chances are the rates are going to be high due to supply and demand. #3: Find out your vendor’s policies are regarding rain. If your vendor is contracted for a certain amount of hours and there is a weather delay, do they charge extra for any time overage? Will they even work out in the rain? As an entertainment company, rain is an obvious concern for us. 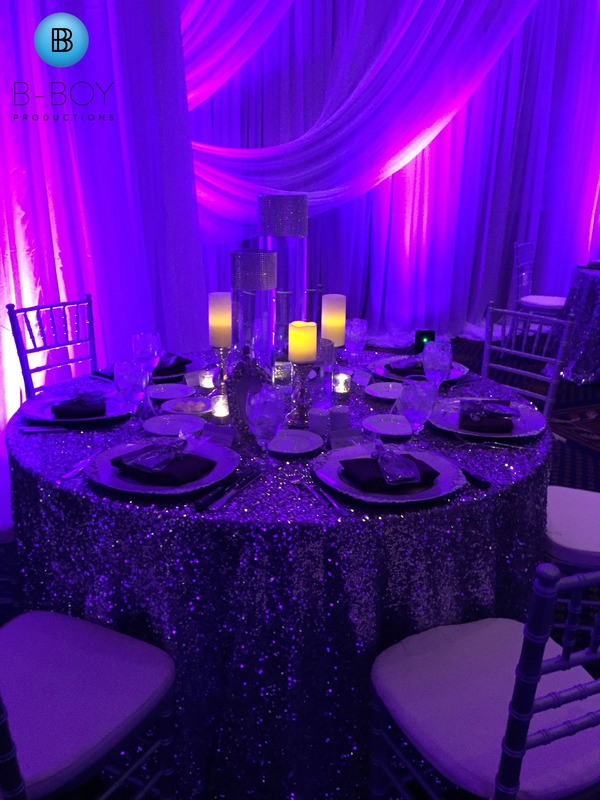 We strive to do all we can to accommodate our client’s wishes, but we can’t put the couple’s event, their guests’ safety, our employees’ safety or the gear in jeopardy. Chances are that same gear is booked out the very next day for another client’s wedding. For our live musicians, unless they are under a covered area, they can’t play in the rain with their personal instruments. For our DJs and Photo Booth personnel, we have a 3 strike policy when it comes to rain. Assuming it’s dry, we will set-up as planned outside until the first few drops of rain. Once that occurs, we will pull all gear until the rain stops so we can minimize any damage and hopefully continue on without any hiccups due to water damage. The client has the option at that point to move our team inside (we’ll reset at no cost to the client) or wait until it stops and we’ll re-set outside again as fast as we can to reduce the time delay. If it rains a second time outside on the gear, we have to strike the gear until an indoor solution can be figured out. 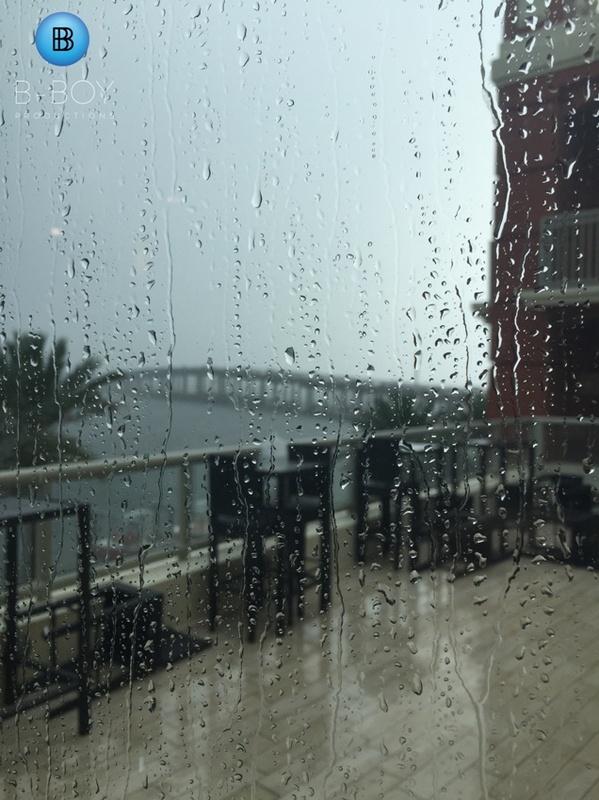 In the last two years, we’ve had a ton of rain during wedding season on the Emerald Coast. These tips, if followed, will allow this rain to slide right off as you move on to an even more fabulous Plan B. We know this area like the back of our hand so if you have any questions, please don’t hesitate to reach out to us.